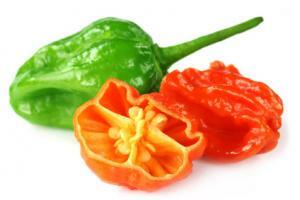 You want to start breeding chilli, but you do not have an exact plan yet? 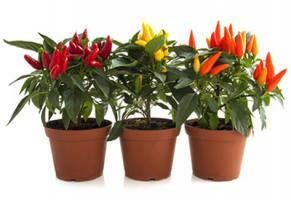 Then our chilli cultivation sets are just right for you! Start simple - be successful! 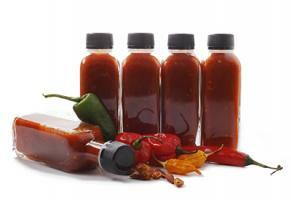 Growing your own Chilli plats has never been simpler: The Spicy Garden cultivation kits! You have no soil nor a flower pot at home, no garden nor balcony and your gardener skills are not ideal? No problem, we have the perfect solution! Our Spicy Garden Cultivation Kits come to your home with chilli seeds, the right amount of soil and fertilizer in a compostable pot! The planting is done within 5 minutes and your apartment will not get dirty. If the plant is big enough, it will bear fruit and you will always have fresh chilies, peppers or tomatoes at home. Now doesn't that sound like a dream? Spicy Garden is perfect as a gift - not only to chilli head friends, but also to people who enjoy eating tomatoes and peppers! You want to sow more chilli, tomatoes and vegetables? No problem! Get our chilli growing station: mini greenhouse, heating mat, earth, piping stick, peg labels and binding wire included. So, you're well taken care of for growing your own chilies. You can find the matching seeds here. One of the hottest chilies in the world and also very aromatic. The complete cultivation set contains an instruction, fertilizer, seeds and pop up earth. Simply grow it yourself! Attention: one of the hottest chilies in the world! Beautiful round bush tomato that can be used in multiple ways. The complete set contains instructions, fertilizer, seeds and pop up earth. Simply grow it yourself! The complete growth station for beginners. Including instructions, fertilizer, seeds and pop up earth. Simply grow it yourself! Beautiful bushy basil that looks like a bonsai. The complete cultivation set also includes a guide, fertilizer, seeds, and pop up earth. Simply grow them yourself! The spice and healing plant for your own growth. The complete set contains instructions, fertilizer, seeds and pop up earth. Simply grow it yourself! Spices and tomatoes in every kitchen. Now in a saving pack that assures your basic needs. The complete set contains instructions, fertilizer, seeds and pop up earth. Simply grow it yourself! Everything a chili hobby gardener for a successful chili crop. Heated indoor greenhouse, germination pots, dibbers, plant labels for identification and binding wire. The crunchy Lunchbox pepper for on the go. Very popular with kids. The complete set contains instructions, fertilizer, seeds and pop up earth. Simply grow it yourself! From mild to wild - with this saving set you have all the Scoville regions under control. The complete cultivation set also includes a guide, fertilizer, seeds, and pop up earth. Simply grow them yourself! For all those that like it mild and wild. The crunchy lunchbox meets the scorpion. The complete set contains instructions, fertilizer, seeds and pop up earth. Simply grow it yourself! Chilli cultivation kit - the complete solution! A set for growing chilli that is very handy! 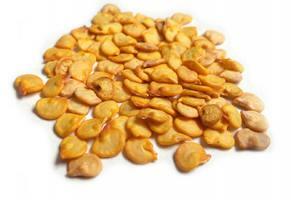 Find out everything worth knowing about such sets in the following article. What exactly is included and how it needs to be handled? These are just two of the questions that are answered in detail. What do the sets contain? What other different sets are there? There are compilations with different varieties of seeds. In addition to really hot chilies for home-growth, such as Trinidad Scorpion, Habanero or Jalapeño, as a complete cultivation set, there is also the cherry chilli, a rather mild variety. However, there are not only chilies for breeding in such practical sets, but also herbs, such as basil and coriander that are offered. If you prefer to grow vegetables, such as your own peppers or tomatoes, you will also find the matching extension kit with us. We do not just offer you the sets individually, but also in savings packages. In these compilations, we've combined some of the grow kits so you can cultivate a wide variety of plants. How does the cultivation work with the sets? No doubt you can easily become a successful gardener with a chilli cultivation kit, but of course you can also give your loved ones a surprise. The complete sets allow the breeding of fresh ingredients from almost everywhere, even in a city apartment. It is also not important if the gifted person has any previous knowledge or the famous green thumb. 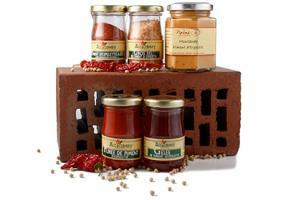 A chilli cultivation set is perfect as a gift for everyone. As an occasion, for example, a summer barbecue or a birthday party serve. In return, the recipient can invite you to a meal as soon as the plants from the cultivation kits bear ripe fruit. With these complete solutions, it is really not difficult to breed your own chilies, even the flower pot will be included in the breeding station. But there are not only the hot pods that you can harvest yourself, there are also other cultivation sets, such as tomato, pepper and basil. 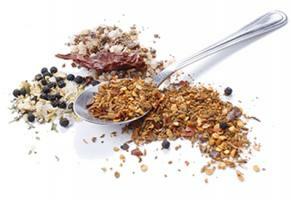 Thus, there really is something for every taste and there is really nothing like home-grown herbs and vegetables. If you feel the same way, give it a try! If you do not want to limit yourself to just one variety, we can understand that, maybe one of our austerity packages is the right choice for you. However, we do not only supply cultivation sets, but also complete breeding stations, including hothouses, with which the best conditions for cultivation are created. Of course, you can also offer as gifts both products to your friends or family. 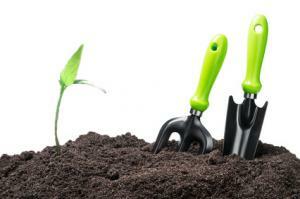 With these complete solutions, everyone will become a successful gardener in no time!